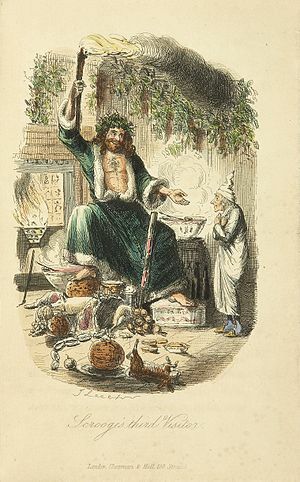 In 1843, after a run of somewhat less acclaimed and relatively unsuccessful books, Dickens resurrected his career when he published what would quickly become his most famous and best-loved work – A Christmas Carol. Written in a mere six weeks in response to a family need for money and self-published due to a feud with his publishing company over editions of his previous novels, this classic seasonal tale set in a snowy, cold London was the first (and most popular) in what became a series of five ‘Christmas Books’. It was an instant hit on its publication that December, with the initial printing selling out by Christmas Eve – despite the fact that Dickens actually made very little profit on this print run and that the demand for copies was such that it was pirated numerous times, resulting in at least one court case that also lost the author money. However, A Christmas Carol had real staying power. It has become one of those rare books that continues to be published in new editions well into the 21st century (I own at least three different versions) and has never actually been out of print since it first came out in 1843. He became as good a friend, as good a master, and as good a man, as the good old city knew, or any other good old city, town, or borough, in the good old world […] and it was always said of him, that he knew how to keep Christmas well, if any man alive possessed the knowledge. On one level, A Christmas Carol clearly works well as a good old-fashioned festive morality tale seasoned with a hefty dose of Victorian sentimentality (as well as belonging, like most of his seasonal writing, to that oddly traditional Christmas literary form of the ghost story), but it also goes far deeper than that. Behind the popular sentiment of Dickens’s writing there is always a realism, often quite brutal, inspired by his knowledge and experience of the social conditions of the time and their (inevitably negative) impact on ordinary people like the Cratchit family. 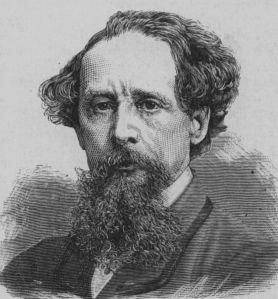 These themes of poverty and class frequently feature in Dickens’s books – and no more so than in A Christmas Carol. In fact, it is entirely possible to read it as a very deliberate and scathing critique of Victorian industrial capitalism (which, I would argue, it almost certainly was), and its continuing appeal remains, in part, due to the fact that very little has actually changed in our society since 1843. Indeed, the pre-transformation Scrooge himself is still an easily recognisable character archetype in our modern neo-liberal capitalist system – Tories and the bankers, anyone? However, there is another theme that is important to the story of A Christmas Carol: that of redemption and renewal. Scrooge’s experiences show us that anyone can change, that a new start, a rebirth, is always possible – something that is still relevent to this time of year even today, if you consider the annual commemoration of Jesus’s birth in the original Christmas story (or even the rebirth of the pre-Christian gods also once celebrated in the dying days of the year and reflected in the character of the Ghost of Christmas Present), and other seasonal traditions that we associate with the change of the year, such as making resolutions to change some aspect of our lives.